While Carol is one of Berry's best-known records, the recording itself is kind of a mystery. This starts with two different master tapes which have been used to create the hit single vs. the LP release. 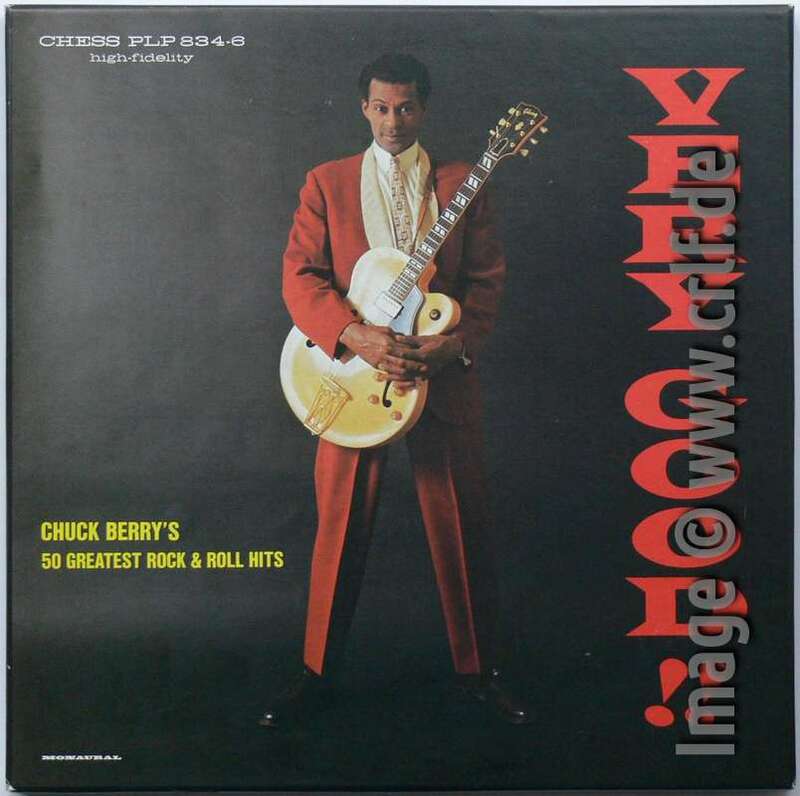 Most readers will know the LP master originally created for the 1959 album Chuck Berry Is On Top (CHESS LP 1435). This has a wide range of loudness throughout the song and is used for almost all LP or CD re-issues. In contrast, the master used for the 1958 single (CHESS 1700) is much more compressed to give a more leveled sound. To many people this variant sounds much more vivid and overall better. The single master is more difficult to get as it was used only for the hit single and the follow-up EP. 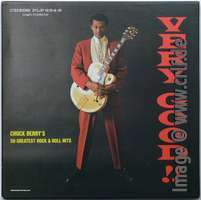 According to Thierry Chanu, the single master has been used only once since then, on the British album More Chuck Berry (PYE NPL-28028). In the US this master seems to have been lost which is why Bear Family in 2014 reconstructed it from a Vinyl single to re-issue it on their 16-CD box set. Also lost are session tapes showing the development of the recording as well as the overdubs tried. So it came out as a surprise when in April we found a variant of Carol having an additional piano overdub which is not on the original single or LP release. This piano overdub version has been published only once: on the 1973 double album Chuck Berry's Golden Decade, Vol. 2. This made us listen to Carol in greater detail trying to find a second release of this piano overdub. We didn't. But in December Thierry Chanu found something else: On the Japanese 1983 box set Very Good!! (CHESS PLP 834-6) there is a third variant of Carol!! Again it sounds almost the same as the hit version but has additional piano playing. And this is a different piano overdub than the one on Golden Decade. The piano overdub on this version is much more audible, but concurrently it's also worse. It doesn't fit the song very well. And the master runs approximately 5% faster than the hit version, whether on purpose or not. According to Morten Reff, this second piano overdub was also used on a second Japanese box set called From The Beginning 1955-1960 (CHESS SJET 9523-5) released probably in 1973. And Thierry found it on a strange European CD called Greatest (Goldies GLD63035, Portugal 1991). Given these results we have to state that session tapes of the Carol overdubs must still have existed in 1973 as two alternative overdubs were used on compilation albums both in the US and in Japan. As these seem to have been lost in MCA's archives, one wonders if master tape copies still exist in Japan or elsewhere. Amazing research. Thank you very much.